Whether heading towards a cool hangout or a late night party, a hint of bright colour is always welcomed and this tiny little bright bag Read More..is all set to be your perfect match. 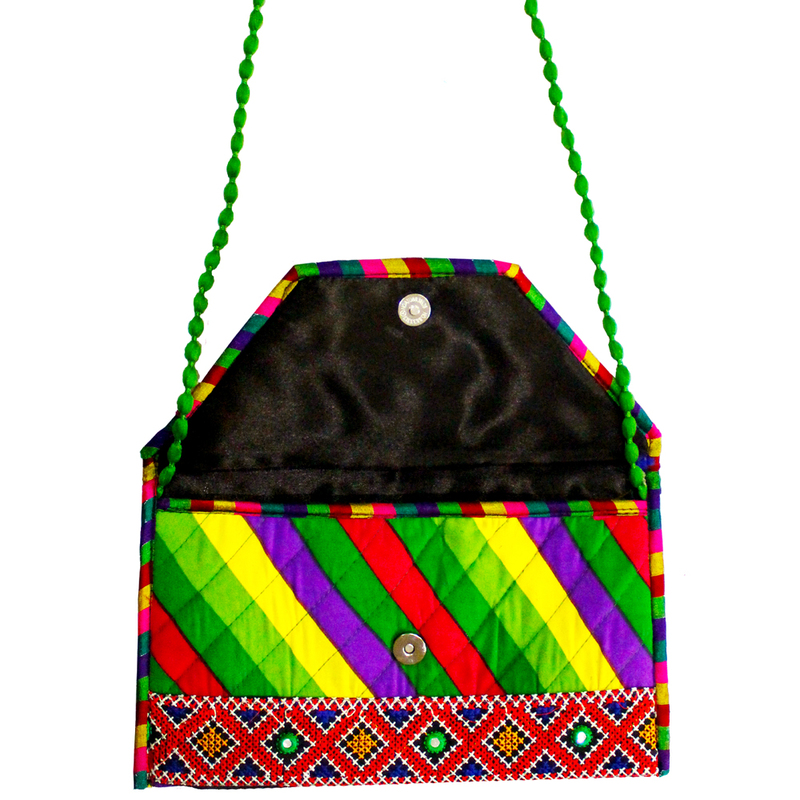 With a mix of bright colours printed on this sling purse bag, it makes a good deal for occasional gift ideas. Show Less..